COPENHAGEN, Denmark (AP) — Danish inventor Peter Madsen went on trial Thursday accused of tying up and torturing Swedish reporter Kim Wall before he either cut her throat or strangled her during a trip on his private submarine in August. Madsen, 47, is charged with murder, dismemberment and indecent handling of a corpse for the way he disposed of Wall’s body. 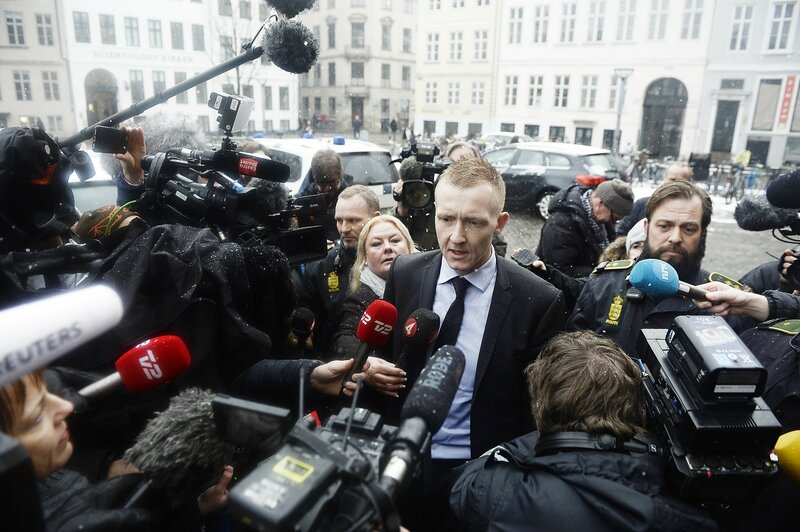 Prosecutor Jakob Buch-Jepsen started the 12-day trial at Copenhagen City Court by reading the charges, describing in detail how Wall’s body parts were found on the ocean bed. Madsen, wearing glasses and a dark shirt, listened quietly with his fists closed. Wall studied at Paris’ Sorbonne university, the London School of Economics and Columbia University in New York, from where she graduated with a master’s degree in journalism in 2013. Madsen was a co-founder of Copenhagen Suborbitals, a private aerospace consortium to develop and construct manned spacecraft. In 2011, it launched a homemade nine-meter (30-foot) rocket eight kilometers (five miles) into the sky over the Baltic Sea, a step toward its unrealized goal of launching a person into space.